Looking for a math curriculum? 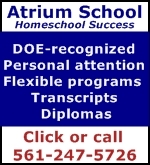 Here are some of the most popular programs available to homeschooling families. Note that costs are approximate and will vary depending on where you buy your materials. Items are presented here alphabetically. Note that this page focuses on stand-alone math programs. Math programs that are bundled within an all-in-one program will be included in our round-up of complete curriculum packages. A Beka Book – This Christian publisher features a spiraling scope and sequence in its math program. Tests and speed drills feature prominently. Visuals (purchased separately) are used in grades K-8. Solutions manuals are available starting in Grade 7. Teacher manuals are available at all grade levels. Overall, A Beka provides a rigorous, if not tremendously imaginative, approach to math. Horizons Math – Horizons is published by Alpha Omega Publications (Switched on Schoolhouse, LIFEPAC), and uses a spiraling scope and sequence approach that integrates biblically-based facts into math lessons. Each grade level is comprised of consumable workbooks. A teacher’s guide is available. Designed with fast-paced lessons, this Christian homeschool curriculum uses a spiral learning method to help your student master concepts through the process of introduction, review, and reinforcement. Math U See. 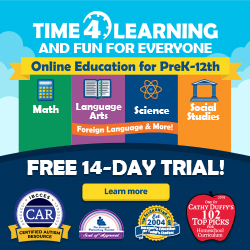 Created by a homeschool dad, Math U See is a math program that integrates videos into a multi-sensory approach to math. There are no grade levels, per se; instead, Greek letters are used to designate levels. The site offers a placement test (competency exam) that parents can use to determine the best level for their students. Math•U•See’s unique approach targets each individual student and focuses on their specific needs. Rather than a curriculum designed for a classroom, Math•U•See is designed with the homeschool “tutor” environment in mind. Cost: $115 per year plus one-time purchase of manipulative blocks ($35) for elementary and middle school; online coop classes are recommended for high school. Miquon Math – One of the best primary math programs available. This program teaches math concepts through manipulatives and visuals; words are not found on the pages. Each grade level consists of two workbooks. No teacher’s manual is needed. Based on the belief that mathematical insight grows out of observation, investigation, and the discovery of patterns, the six workbooks of the Miquon Math Materials lead children through an exploration of mathematical relationships. Concrete models are not supplements to the written work, but instead are the basis of it and are used continuously. Grades 1-3 (per publisher). Once complete, children will place into 5th or 6th grade math in other publishers’ programs. Cost: $16 per year; parents can purchase Cuisenaire Rods for $12. Saxon Math> – Looking for a more traditional math program, similar to the one you used in school? Saxon math uses a “skill and drill” approach to math. A concept is presented and then students work numerous problems to master the concept. The program is cumulative, so students are continually reviewing previously introduced concepts. Best for students who learn from repetition. Saxon mathematics for grades K–12 is based on the teaching principles of incremental development, continual practice and review, and cumulative assessment. Shiller Math – Montessori-based math curriculum for ages 4-12. No teacher manual or planner is required as the lessons are designed to be self-teaching and do not require advance preparation. One kit coversa ages 4-8 (grades K-3) and another ages 9-12 (grades 4-7). A placement test is available on the site. Cost: $300 per kit. Each kit covers 4 grade levels. Singapore Math – As the name suggests, this series was used in schools in Singapore and then introduced to homeschoolers in the US. At each grade level, students will use two textbooks and two workbooks. Also available are a home instructor’s guide and a teacher’s guide. In grades 7-12, solutions manuals are also available. Grades K-12. Texts generally run a year ahead of what would be found in a public school.